NORTH Melbourne forward Taylor Garner has re-signed until the end of 2018. Garner, 22, has played just 14 games in a career hampered by hamstring and hip injuries. He was drafted at No.15 in the 2012 NAB AFL Draft. Garner has started the season strongly with two late goals in the Kangaroos' round one match against Adelaide helping North to a 10-point win. "I'm pretty stoked that the club showed some faith (in me) after all the injuries that I've had," Garner told the club’s website. "I'd like to say (the injuries) are behind me now." 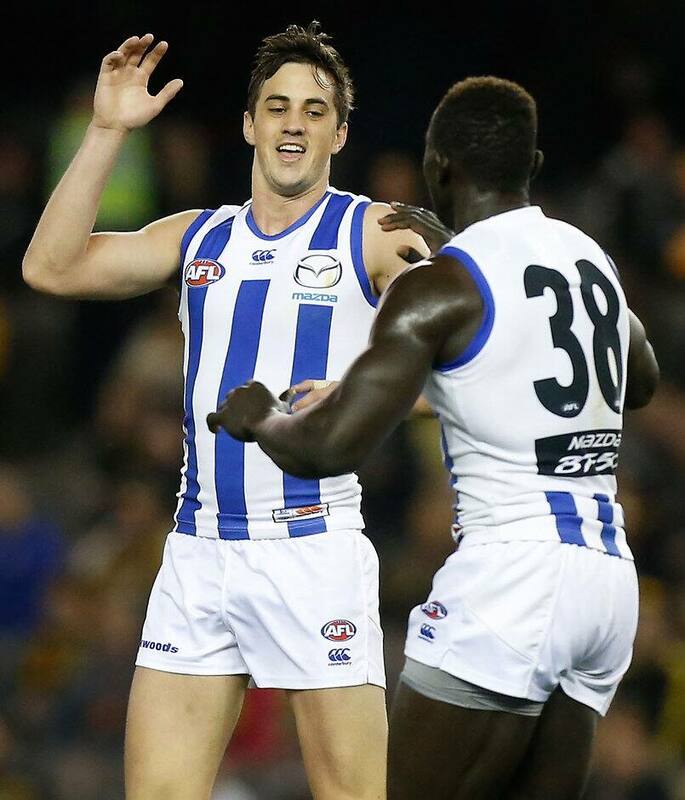 North Melbourne plays the Brisbane Lions on Saturday afternoon at the Gabba.